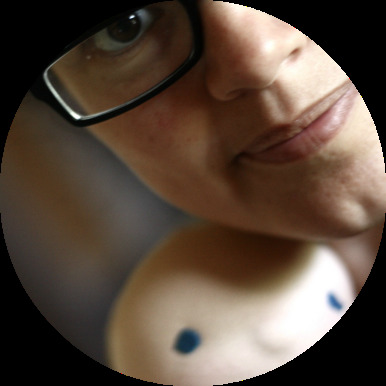 Polka dots on your collar, by Fig&me. About a year ago I was working on this sweet little doll. Her name is Bella, and she was a custom doll for a sweet lady. Her husband lost the auction for Red Scarlet, a doll he intended to give his wife as her Christmas present, and my dear friend Nancy, maker of Dragonfly's Hollow, suggested to me I should do something nice for him. So I offered him a custom spot for his wife instead, and the rest is history. 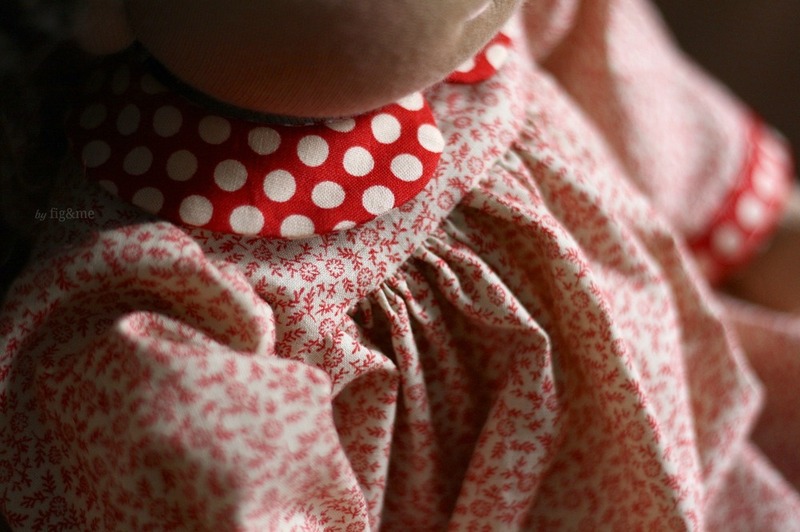 A doll dress, by Fig&me. A few days ago I saw a photo she took of her daughters. It is funny when this happens, but my fingers started getting very itchy, itchy indeed. And I had to go and draw her daughters as dolls. I have already asked permission to create them as a set of dolls and I am already well started into making this itchy-finger-thing into a reality. When will it happen? We don't know. As my crazy doll making ways sometimes take me on great tangents and adventures, but I do hope and dream these dolls come to life. The month of love, by Fig&me. 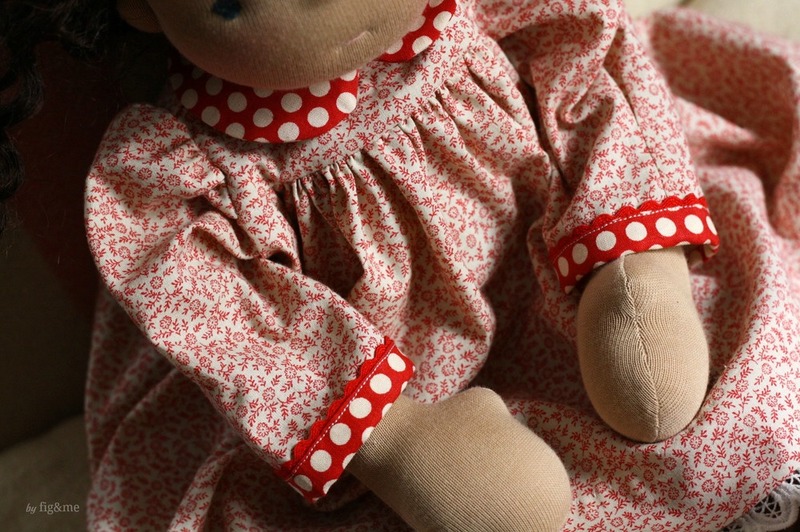 As a matter of fact, I am going to be offering a custom spot for a doll just like this, an 18" figlette, very soon. This spot will be offered as a short auction, due to the fact that I am confronted with some heavy equipment burdens: I need to buy a sewing machine and also a replacement serger. I have never offered this size of doll as an auction before, and even though I was planning to offer custom spots until the Spring, I think it is nice to get started on one right away. Custom dolls always push me out of my boundaries and inspire me beyond belief. The relationships I have created with people all over the world, due to our close interaction whilst creating their doll, is one of the most cherished aspects of my doll making journey. I will let you know when the spot is ready and where will it happen. For now, I return my itchy fingers to more sketching, more hand sewing and more wrapping of small packages. 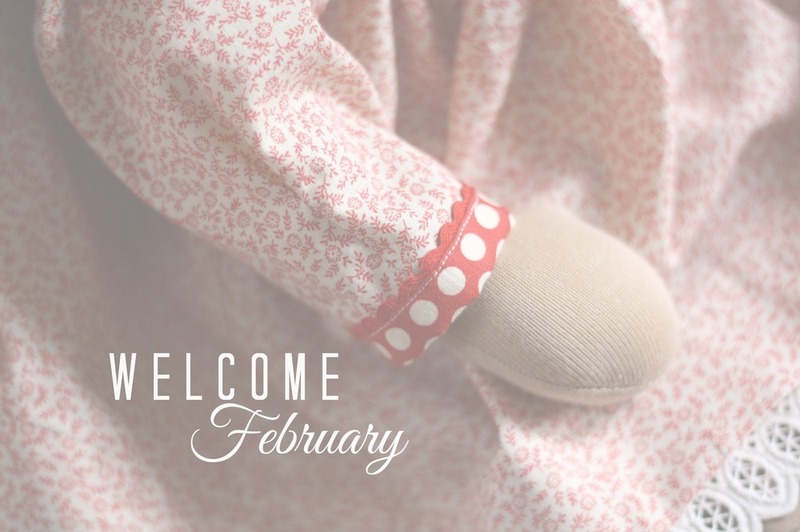 I hope you too are welcoming February with a smile on your face and a twinkle in your eyes. Jan 28 My three princesses.